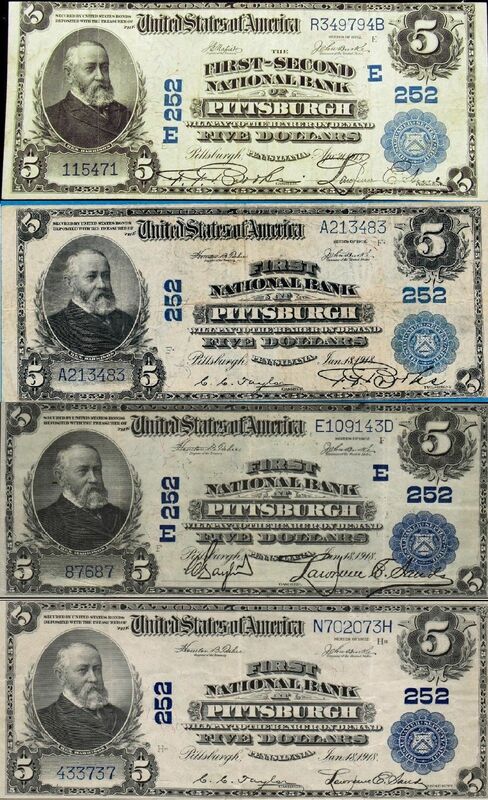 How about FOUR different signature pairs for a single bank. 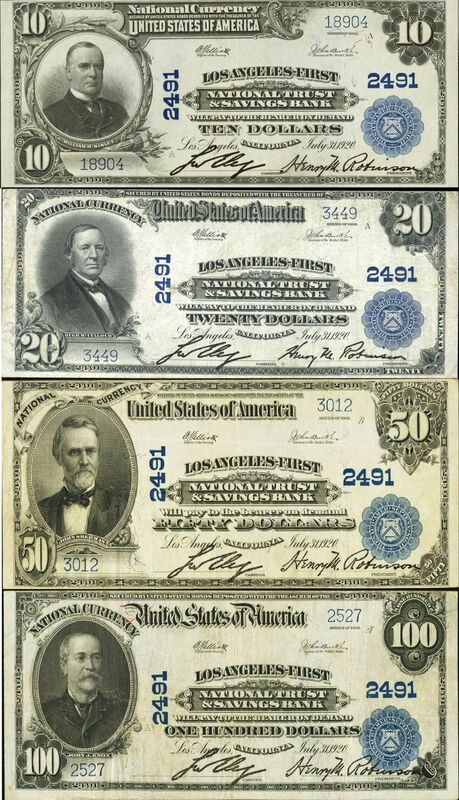 Two of the notes show the cashier presumably promoted to the President. And C.C. 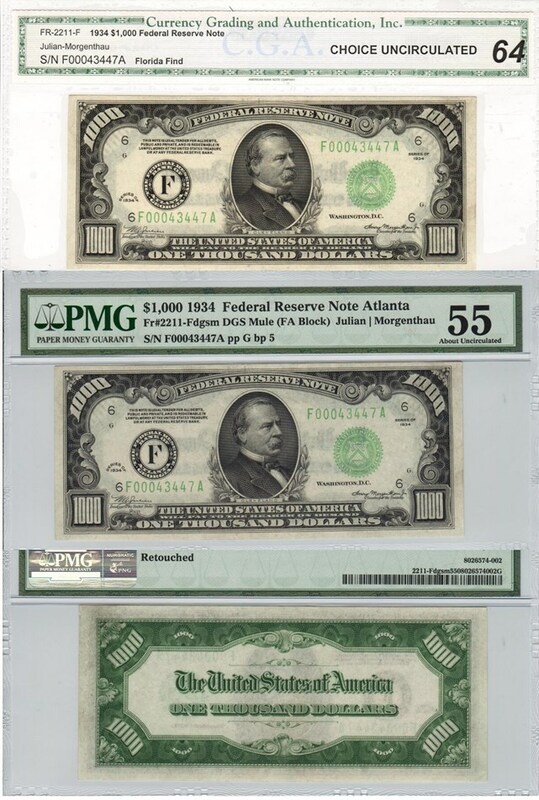 Taylor, the cashier quite common on the Ch # 252 notes is President on the 1929 small versions from this Charter. I wish someone could explain this bank's storied signatute lines. Obviously the "FirstSecond NB" merged to become the First NB but the multiple signatures requires some research of which I haven't done yet. 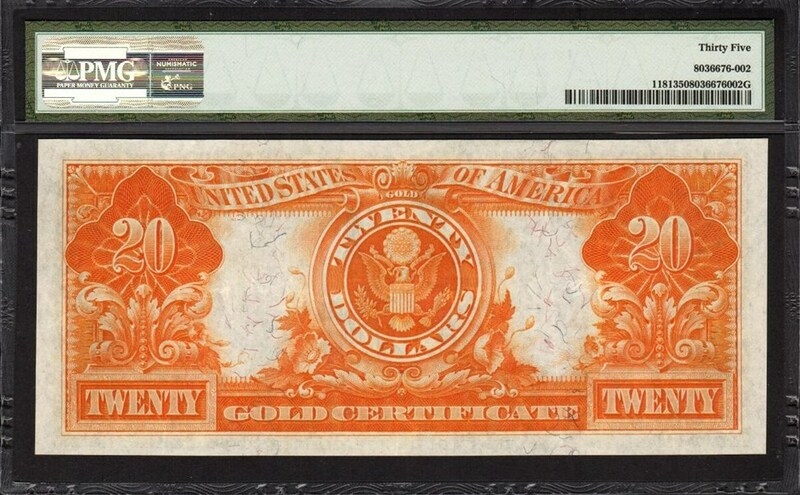 I honestly believe the color scheme on this note is as fine as you can find for a vintage note. The colors are manifique! 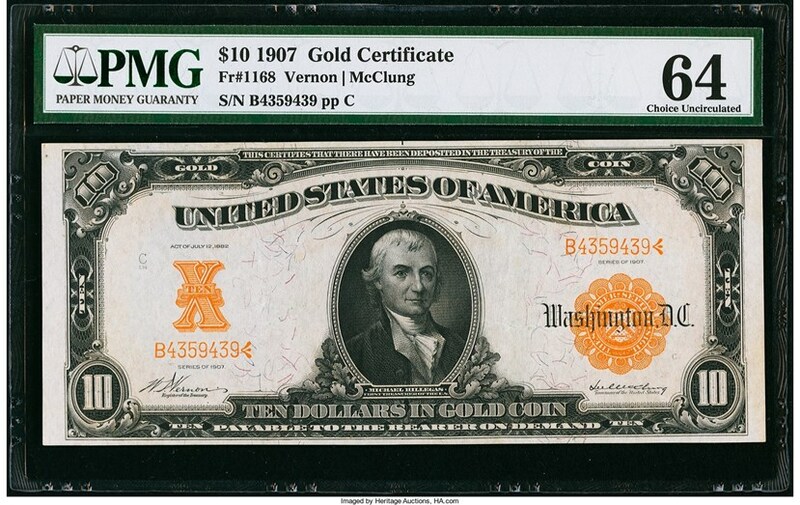 Would you regrade this note to get the PMG score or leave it in a PCGS holder. Anyone see any NET problems? Thanks. 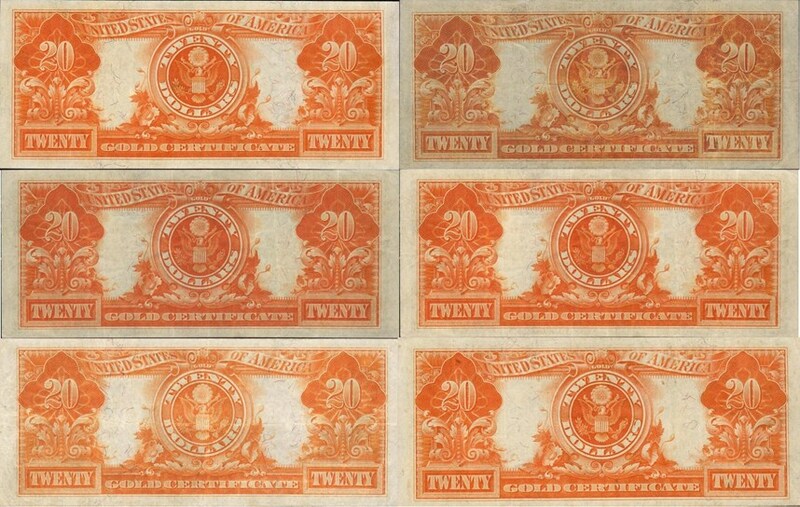 Almost 2000 have been graded by PMG of this common note. This 66EPQ is in the top 3% graded with only 6 notes graded at 67EPQ. The Fr. 39 is a very common note. But this one has such perfect centering, embossing punched all the way through the note and a note that is so bright, the note looks like it just came off the printing press. To see old comments for this Journal entry, click here. New comments can be added below. The best grades are not always the greatest eye appeal. 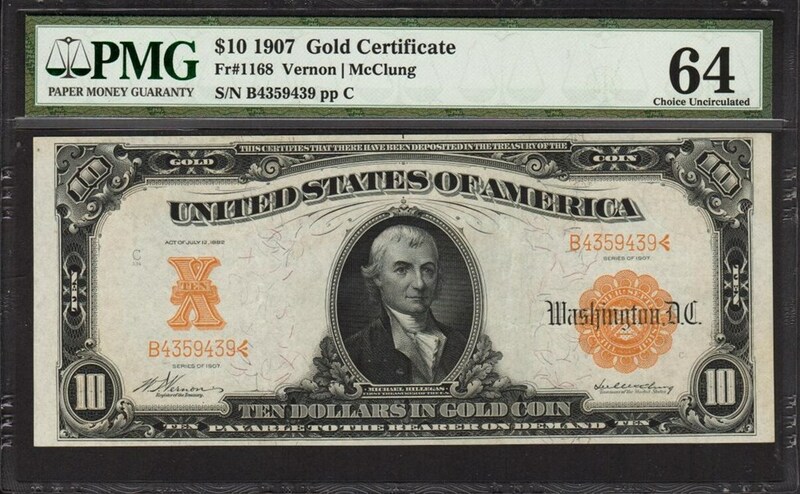 My $20 large note gold certificate collection is almost complete, only lacking the Fr-1179. As you may know the Fr-1179 and 1180 are the technicolors so you will forgive me if I only have one of the two in my collection? 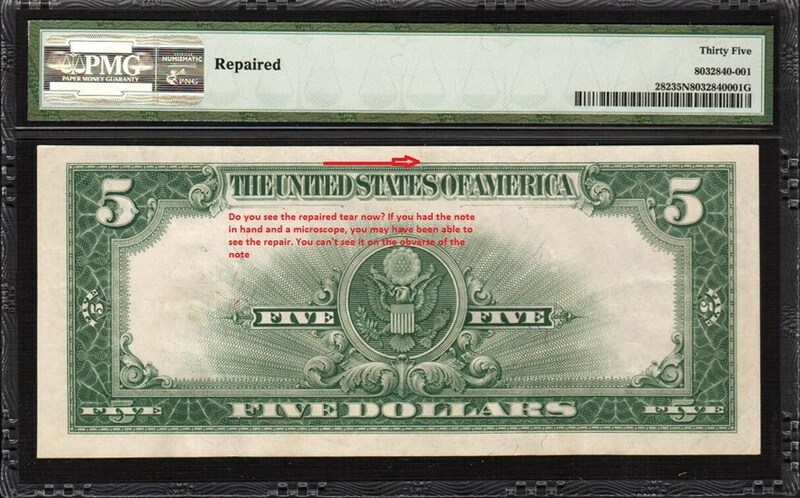 This reverse is my most wonderful. I love it dearly. To see old comments for this Journal entry, click here. New comments can be added below. 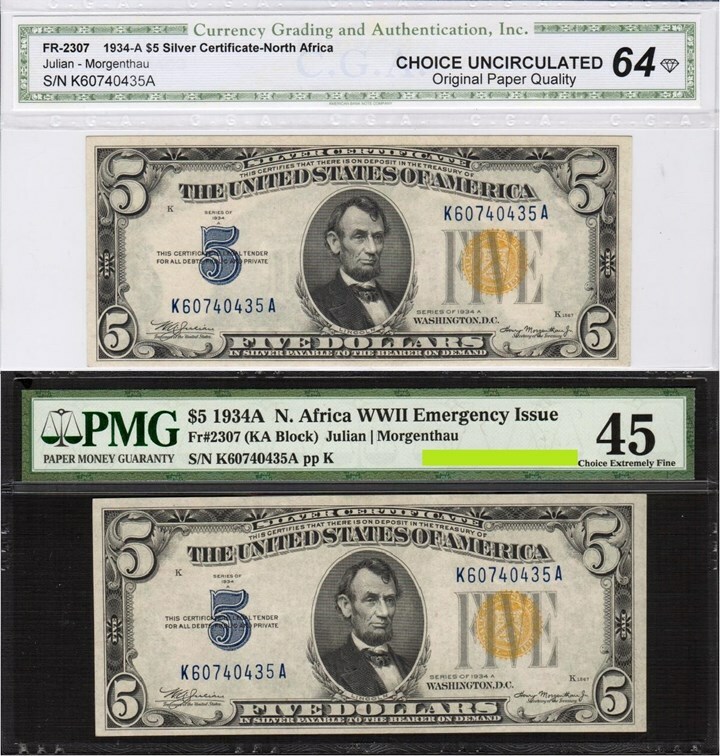 Educating all on the difference between CGA and PMG As the esteemed Matarcat says, treat CGA as ungraded when purchasing.Note, the even though PMG did not assign it "NET" another surprise was the note had been "Retouched", impossible for most to realize before sending in for grading. To see old comments for this Journal entry, click here. New comments can be added below. I had to put one extra in this, the TECHNICOLOR. The greatest note there is. Incredibly overpriced and only bone heads buy one. ENJOY! To see old comments for this Journal entry, click here. New comments can be added below. Because I enjoy it!! 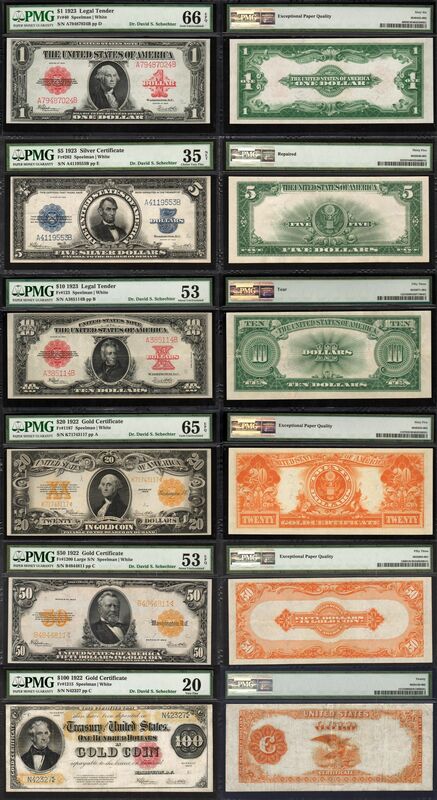 All the large size gold certificate denominations. To see old comments for this Journal entry, click here. New comments can be added below.